If there's one thing at Michael's Subaru of Bellevue we love more than the lineup of new and used vehicles in our local Washington state dealership showroom, it's the excitement we get out of helping Issaquah, Sammamish and Mercer Island drivers find their match. We take the time to explore the features that are important to you and our knowledgeable staff is here to answer all of your questions. But what would buying a new car be without a test drive first? Visit Michael's Subaru of Bellevue where we'll get you out on the road to find a Subaru vehicle perfectly suited to your needs. We always say here at Michael's Subaru of Bellevue that the only thing better than inspecting and experiencing that new car smell on a new 2019 Subaru like the Outback, Impreza, Forester, Crosstrek, WRX, or Legacy is to test it out on the road. Want to learn more about the new 2019 Subaru Ascent? Including seeing Subaru Ascent vs Honda Pilot? How about the Impreza vs Honda Civic? Legacy vs Honda Accord, or any other Subaru Comparisons? We are the right place! Our highly knowledgeable and supremely friendly staff will help you work through all aspects of any model that is of interest to you, so you will feel completely, 100% informed when it comes times to make a decision. It's no problem if you can't find a new car that suits your needs or budget. We're also pleased to offer a healthy selection of high-quality and affordable used cars from a wide range of automakers like Honda, Toyota, Ford, and many more including used Subaru vehicles! You'll always rest assured that each pre-owned vehicle has passed a rigorous inspection to guarantee its top-notch quality to drivers like you! You have your new Subaru Outback, Impreza, Forester, Crosstrek or Legacy all picked out, and can envision yourself driving it full time, but the next step happens here at our dealership, too. With our financing team, you are going to receive and learn about all our car loan and lease options in detail. We provide you with the current offers and incentives, and discuss all the ways we can help you find a plan to that works within your finances. We keep the process clear, and stress-free so you can look forward to driving through the streets of Issaquah, Sammamish and Mercer Island, WA, in your new ride soon. There's no better place to go than Michael's Subaru of Bellevue for Subaru service in Bellevue, Issaquah, Sammamish or Mercer Island, WA. Our Service Center team of highly trained professionals know every inch of your Subaru model. We are pleased to provide exceptional service and repairs in a stress-free environment with no hidden fees. We only use genuine parts and accessories, of course, to keep your vehicle's original quality for years to come. 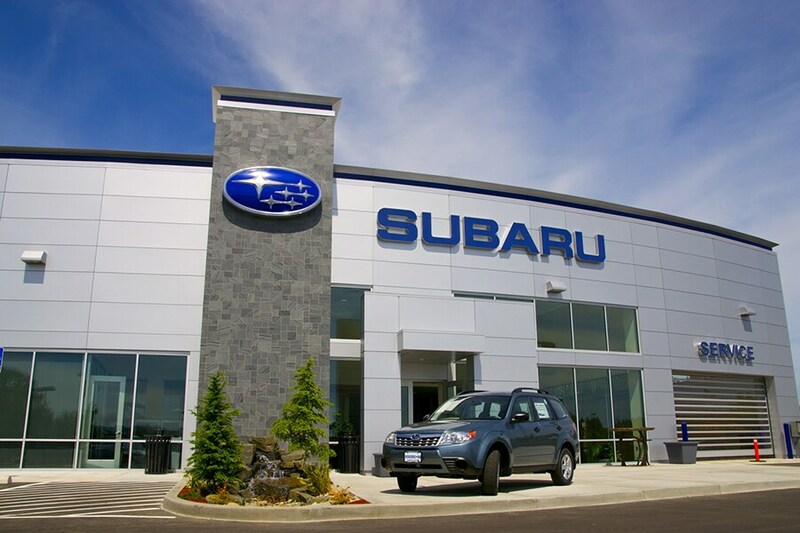 Michael's Subaru of Bellevue is determined to ensure that you have a memorable Subaru experience. No matter what Subaru model you're interested in, new or used, we invite you to visit our dealership today. We'd relish the opportunity to get to know you and help you find a vehicle you'll truly love, so be sure to visit us at 15150 SE Eastgate Way in Bellevue, WA or call us at 888-435-3151 today!